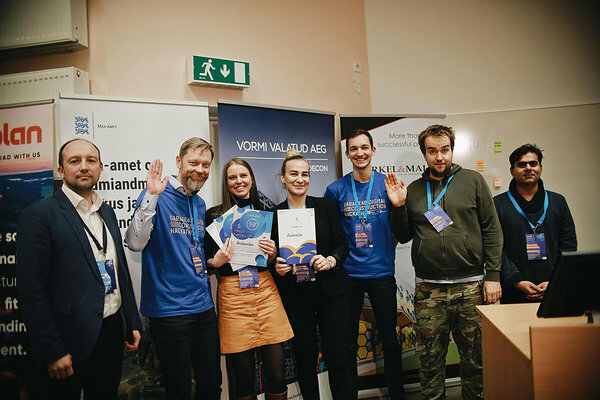 On Friday, there were 22 great and amazingly innovative ideas pitched on the first ever Garage48 Digital Construction Hackathon in Estonia, out of which 11 teams were formed and 10 of them made it through the 48-hour sweat and tears (and also a lot of fun!) to the Sunday night finals. The focus of this weekend was to concentrate on the development and on changing the way we see the construction sector. This time, a top bunch of architects, designers, construction and real estate experts were mixing with the tech-crowd to bring innovation to their field. “The problems we are solving here, are really relevant. A lot of different platform approaches, which have global potential. It requires a lot of work to pull them off, of course, but it's definitely interesting,” commented the experienced and talented mentor Teemu Lehtinen, Chief Digital Officer at KIRA-digi project in Finland. He added, that while working in the sector for a while now and also participating in similar-topic hackathons around the globe, this weekend was definitely one of the top ones! “The industry has started exploring and experimenting with new stuff, and I am really grateful to be part of this,” he thanked the participants, partners and the team. Our technical mentor and creative engineer Martin Verrev added that it is more than good that people from different sectors come together and do something constructive, in the very sense of the word. But we couldn't do this hackathon without the participants, who came to change the way we see and think about the construction sector. The Archinator team, absolutely happy but tired after the 48-hour marathon, have already set up a meeting in few days to continue with working on their idea. “It all started with a problem we had,” the team explained why they participated in the Garage48 Digital Construction Hackathon, “we had been struggling for a while and it was about time to do something about it.” They were also excited that this was the first time when hackathon was organized for the construction sector, so there was no way they would have missed the opportunity to participate. The whole team really recommends to take part in hackathons, as this is the place you meet people with different background and can solve real life problems. Sunday evening pitching was followed by a passionate and complex discussion among the jury, as all of the teams, who made it through the 48-hour hard work, have the potential to contribute to the development of the digital construction sector. 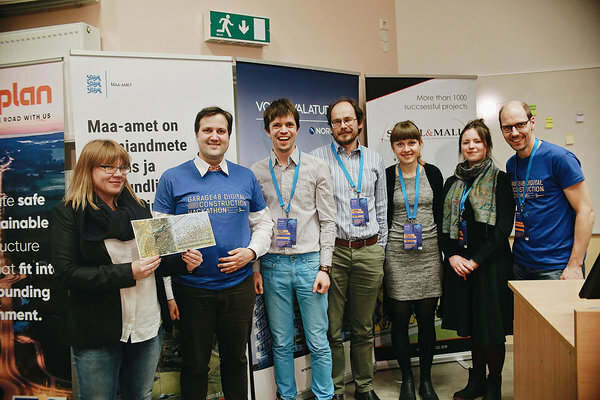 Indrek Moorats, our mentor and a member of the board of Estonian Digital Construction Cluster told he was (and still is) a big fan of all the teams, as they did a tremendous work and it is so important for them to continue with the ideas after the hackathon. A landmark solution for governments that provides a transparent way for time reporting from construction sites by utilizing the advantages of blockchain technology. The system ensures that data is precise, it cannot be forged once stored on the chain, construction workers are paid fair wages and the competition in construction sector is fair. Collaborative tool for architects and clients to save time and money. A tool for builders to avoid costly mistakes. Augmented reality that will map the construction, including underground. Track elements and people actions through whole project workflow to be on time with the project, notice problems as soon as possible, get easily needed information and have history log. 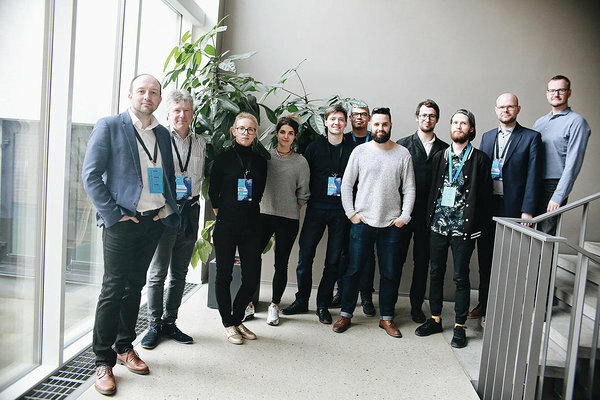 Last, but not least, a big thanks goes to the wonderful, talented, experienced and passionate mentors and jury: Krists Avots, Indrek Moorats, Keit Paal, Merylin Rüütli, Tiit Hion, Janek Hintsov, Ergo Pikas, Teemu Lehtinen, Andreas Roosoon, Marek Õunamägi, Cesar Zeppini, Katharina Elme, Martin Verrev, Raul Kalvo, Sven Kirsimäe, Martin Grüner, Jaan Saar, Peeter Pärna, Risto Vahenurm, Ergo Pikas. We couldn't have done it without you! Can't wait to see the teams continuing working on their ideas and really rocking the world!